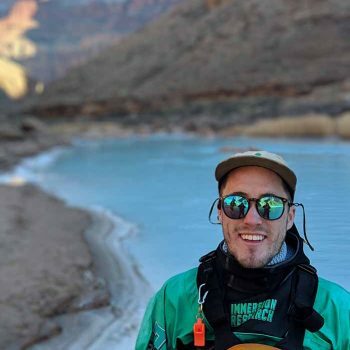 When not getting lost in the wilderness you can find me whitewater kayaking, climbing rocks, riding down mountains on boards and bikes, or playing ultimate frisbee. The people and the stories we create with them along the way are what keeps me coming back for more. We get to take people on trips of a lifetime and show them that they are capable of much more than they originally believed, show them things that most only get to see in magazines, along the way creating memories that will leave a lasting impression on their lives. Without the people to share our passion with we wouldn’t be fortunate enough to call this a job.